Danger Zone 2 takes the crash testing action out of the Test Area and onto real public roads. 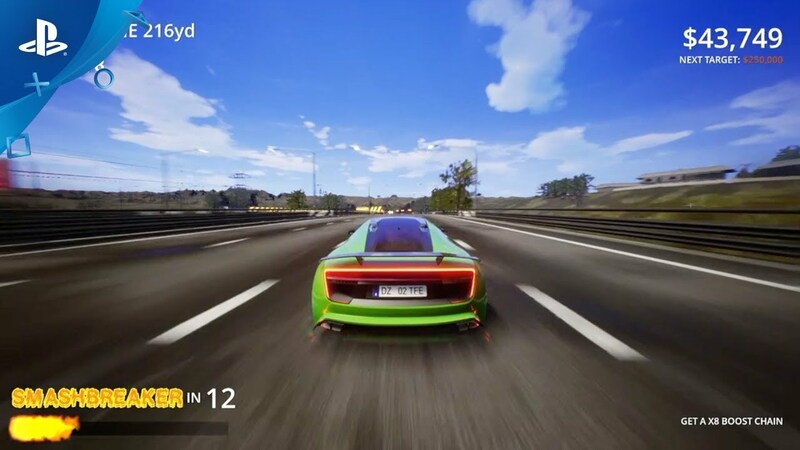 A high-speed driving game featuring speed, traffic and crashes, Danger Zone 2 lets players loose onto the Freeways of the USA, the Motorways of the UK and the Autovias of Spain as they compete to cause the biggest crash. Don't Fight Traffic - Destroy It! Cause Chaos on the Open Road. Using advanced real-world physics and the power of Unreal Engine, Danger Zone 2 lets players "crash for cash" and compete against each other to cause the most chaos on the road. 8 vehicles to drive and smash including: Sedentary Sedan, Chaotic Coupe, Really Crazy Taxi, Euro Truck or Formula One car! Objective-Based Gameplay - Complete Objectives to earn Bonus Cash in each level. 3 explosive games in one fun packed 'Ultimate Danger Bundle '. The Ultimate Danger Bundle includes all 3 of Three Fields Entertainment's 'Dangerous' games - Dangerous Golf, Danger Zone and the all new Danger Zone 2. Copyright 2018 Three Fields Entertainment. All Rights Reserved.